I have fairly mixed feelings about this book. 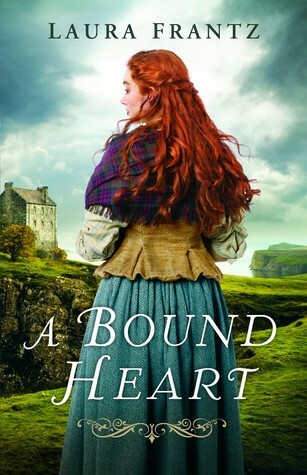 On one hand, it's a fluffy escapist romance novel half set in Scotland, one of my favorite countries, and highlights an immigration perspective (Scottish prisoners exiled to America) that I hadn't yet had the pleasure to explore. But then on the other hand it's quite cheesy, and character actions are fairly unrealistic and/or overly convenient to the plot at times. Plus the descriptions of Scotland are beautiful but don't really ring true to my own experiences living in a small Scottish town (though I'm sure a university town would have different vibes from an island). And–most painfully to read–Magnus falls into a fairly awful "white savior" role as the manager of a slave plantation. Obviously all of these crimes are not equal. I list them more in the order of occurrence, because I became more and more frustrated with the story as it progressed. By the time Magnus was getting the slave plantation in order, I wasn't invested enough to be as horrified as I otherwise would have been. I hate to sound so negative, because I actually did pass a few peaceful hours reading the book. I was rooting for the main characters to get together already, and I genuinely liked the new angle on the familiar immigration story that Frantz took, even if she didn't stick the landing every single time. I also really loved a later storyline where Lark sort of adopts an orphaned baby on the ship over, because it's a super sweet (if ocasionally over-milked) storyline. But, setting aside the gasp-inducing slave plantation storyline which was problematic for obvious reasons, the parts that I found most disappointing were the Scottish depictions. For one thing, it was really obvious to my ear that Frantz is an American. I can't point to any wording in particular, but there's just a certain pattern of speech that was missing from the dialogue as well as the narration. I was also a bit sad to see Edinburgh so completely written off as "a big ugly city," because in my experience it's one of the nicest cities on the planet. I do realize that it was a different time and Lark is a very different person from myself, though, so I can just about let that one go. The other major authenticity issue I have with the book has to do with alcohol. Namely, both of the main characters seem to feel like drinking might not be a very moral thing to do. Now I'm not sure exactly what time period this is supposed to be set in, and it is true that there was a fairly brief period in time when temperance had some supporters in Scotland, but Frantz did not get across just what a massive part of Scottish culture drinking really is. It's practically a national pastime around here. I seriously doubt that two random Scottish people, almost completely isolated from any society but that of a bunch of rural islanders in an alcohol-fueled society, would feel any compunction to avoid it in any way. I suspect it's more Frantz superimposing her own moral compass onto her characters, which is fine I guess but just pulls away a bit from the authenticity. Anyway, all in all it's a pretty mixed bag. There were aspects I loved and others I . . . well, didn't, If you've read my review and still want to read it, go for it and let me know in the comments so we can compare notes. Otherwise, I think you can pretty safely skip A Bound Heart and continue on your way. Disclaimer: I received a complimentary copy of this novel in exchange for an honest review.